Kitsilano Neighbourhood House values volunteers and their commitment to share their skills, knowledge, ideas, time, and enthusiasm! Volunteers are active at all levels, from the Community Board to administration and from direct service programs to program planning. 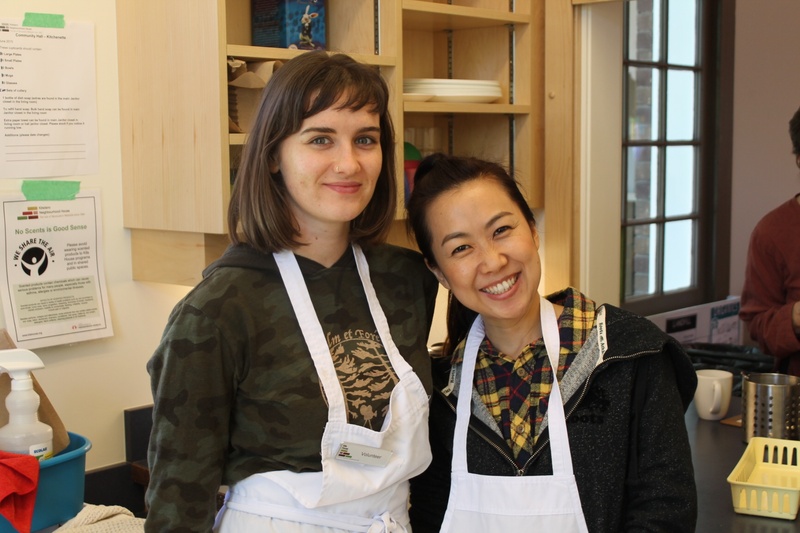 The Kits House Volunteer Team donates thousands of hours each year to support Kits House in its programs and activities. Prior to registering for a Volunteer Information Session browse the Kits House website and familiarize yourself with the programs offered and to see what interests you. Do Kits House programs fit with what you would like to do as a volunteer? Evening and weekend programs at Kits House are limited! Most program/volunteer opportunities occur weekdays during office hours when staff are working. Does this work with your schedule? Active Kits House volunteers contribute an average of 4 hours per month. Do you have time to volunteer? Be sure to register for the next Volunteer Information Session! Volunteer Information Sessions are held monthly on a Tuesday afternoon at 4pm and are approximately 1 – 1.5 hours in duration – please allow time in your schedule if you are signing up to attend an Information Session. Check out the schedule to the right. Fill out the Volunteer Registration and Criminal Record check forms. Please ensure you bring government issued photo ID for us to photocopy. This is a requirement from the Ministry of Justice for your Criminal Record Check application. There is no charge to you for a Criminal Record Check and Kits House will process the form after you complete it. Criminal Record Clearance letters can take up to 4 weeks to clear through the system. Kits House Volunteers are also Kits House members! The annual membership fee is $10, payable by cash or cheque, at the Front Desk when you start to volunteer. Not available to attend the information session? Connect with the Coordinator of Volunteers to arrange an alternate date and time. Volunteer Information Session spaces are limited and fill quickly! If you register for an Information Session and then find you can’t attend, please let the volunteer Coordinator know so that your spot can be given to another.